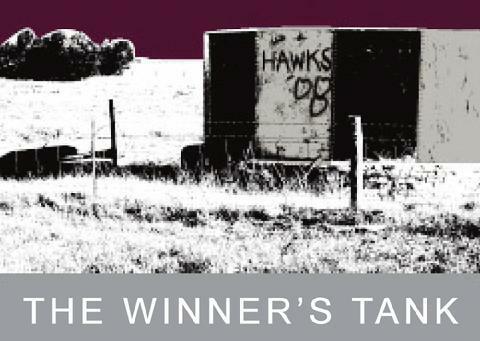 Winner's Tank highlights what can be accomplished when an extremely talented winemaker gets his hands on some premium, Langhorne Creek fruit. Winner's Tank is a new venture between Reid Bosward of Kaesler vineyards, and David and Cathy Knight, owners of the Winner's Tank site. The name relates to an old water tank that sits in the corner of the vineyard. In true Aussie spirit, a strong rivalry exists between the three neighboring towns in the local Australian Rules Football competition. Each year the winning team heads out to the vineyard to paint the tank in their team colors.